During the World Wars, posters were placed in key locations reminding military personnel and contractors that unguarded conversations could divulge information to the enemy that would give them the upper hand in combat. Some information, however minor, could be the missing link to the enemy. 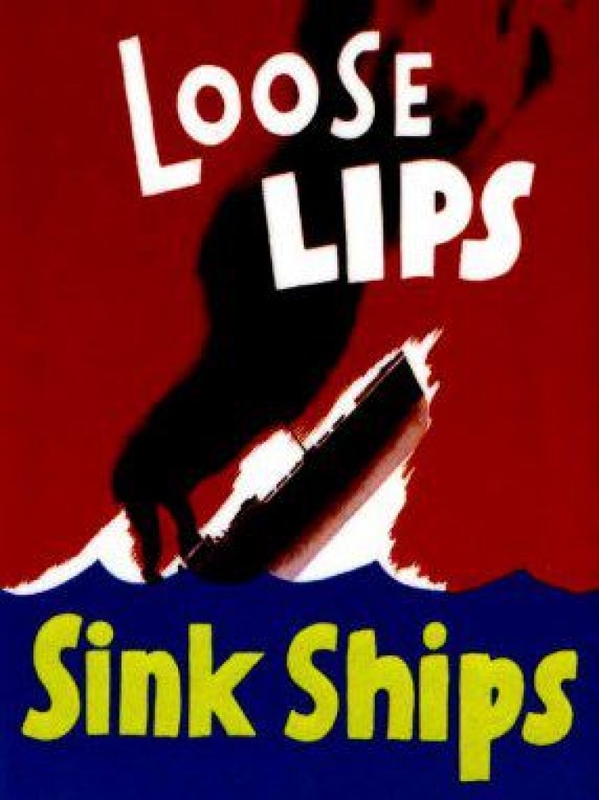 In real estate, “loose lips, sink ships” may not actually sink a ship, but it can sink a real estate transaction. I have said this many times before, and will undoubtedly say many more times: If you are in the market to buy a home, you need to sign a buyers’ representative contract with a REALTOR®. That agent will work diligently on your behalf. You can have confidential conversations with your buyer’s agent, and you can rest assured they will keep the information confidential. When you are house-hunting, attending open houses is a good way to see what is in the market. If you have already signed a buyers contract with an agent, let the agent at the open house know your agents name as soon as they greet you. The open house agent should respect that relationship. They can certainly provide basic information about the house and answer any questions you may have but, should not inquire about any financial arrangements you may have for a mortgage. All too often, I see potential buyers come into an open house and start a dialogue with the agent hosting the open house. Inevitably, the question will come up if they are pre-approved for a mortgage and what price of home are they looking for. The conversation takes a bad turn when the buyer(s) make the comment that they are looking for a home “no higher than $500,000”, but because they want the listing agent to know they are solid buyers if they make an offer, the buyer(s) will add, “But we’ve been pre-approved for $600,000.” That information will go from the buyer(s) lips to the seller’s ears in a nanosecond. And if you decide to make an offer on that house – or any house with that listing agent – there will be little room for negotiation. Another example is if the buyers’ really like the house, and they are under the gun to find a home because they have given notice at their apartment and it has already been rented to a new tenant. Whether you are looking to buy or sell real estate, and whether it is your first transaction or your tenth, one of the most important things you can do is pick a REALTOR® who is the right fit for you. If you talk to a seasoned real estate agent, they will undoubtedly tell you that you that you have to select a seasoned real estate agent. If you ask a new agent, they will tell you that a new agent (who doesn’t have a lot of clients) will be able to spend more time and energy for you. As a seasoned agent I will tell you the truth (the truth according to Roland). You can pick either a seasoned agent or a new agent – what is more important is how well you communicate with each other and whether or not you are on the same page with communication, open houses, showings etc. A new agent still has the experience of a broker that they can turn to for advice. And sometimes, seasoned agents think their way is the only way. That being said the biggest problem is that 70% of buyers or sellers pick the first real estate agent they see. Quite often if buyers go to an open house they will have the agent on site write a contract for them. 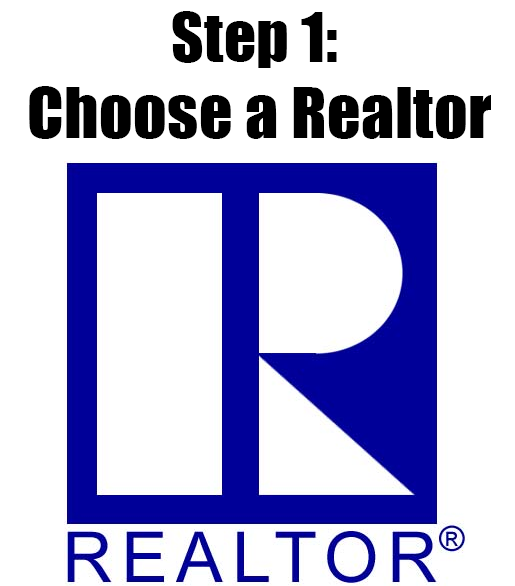 It is critical to remember that the agent that is at the open house works for the seller! It’s the seller’s best interest that they are looking out for, not yours. When sellers’ list their house for sale, they have a real estate agent that is representing them. Buyers’ should do the same. As buyers’ I strongly suggest that before you start looking, find a REALTOR® whom you are comfortable with and sign a buyers’ representation contract with them. Then – and only then – do you have representation for your best interests. Whether you are looking to buy or sell, I have a booklet to help you with many situations. This booklet is free of charge and there is absolutely no obligation when you receive this booklet. At the end of this blog is a form to add your name and email address and I will forward it to you. If you are thinking of buying or selling, talk to a real estate professional – talk to a REALTOR® – who can give you the information you need to make an informed decision. As always, if I can help with any of your real estate needs, please feel free to contact me by text or call me at 301-712-8808 or email me at RolandLow1@gmail.com. If you are thinking of buying a house, whether its your first or tenth, the importance of having your own buyer’s agent representative cannot be over stated. It is by far one of the most important decisions to make. My suggestion is that if you are thinking of buying, the first thing you will want to do is to find a REALTOR with whom you are comfortable and confident that they will do a good job for you and sign on with a Buyer’s Representative Agreement. This will work to your benefit down the road. Undoubtedly most buyer’s will search the internet for homes they like in areas they like. Often times if they see something they like they will contact the listing agent for additional information or stop by an open house to look at various properties. This is where it begins to get complicated. When you talk or email, or have any communication with the listing agent, you are talking to an agent who has the best interest of the seller’s in mind – not the buyer’s. The listing agent has a legal obligation to work on the seller’s behalf to get the highest possible price and the best terms for the seller’s not the buyer’s. Stopping at an open house is a very interesting exchange of information. Quite often – and it should be done – as you walk in the door you will be greeted by the agent holding the open house who will introduce themselves to you, smile, and then say something to the effect “I’m here representing the seller’s.” That may seem like a given, but the truth of the matter is that you have been now notified that anything you share with this agent WILL be shared with the seller’s. It is important to understand and to remember that the listing agent is the seller’s best advocate. In idle conversation buyer’s will inadvertently share information that should be held confidential. If the house is listed for $499,900 and the potential buyers are pre-approved for $550,000 buyer’s will often times share that information so that they appear like serious buyer’s. But that information can be very detrimental should they make any offer below the asking price. Another bit of information that can be very harmful is sharing the time frame in which you must move. Often times renters will wait shortly before their lease expires and then are frantically trying to find a house they can buy before they have to renew their lease and then they are stuck for another period of time. Just as a listing agent has the best interests of the seller’s in mind a buyer’s agent has the best interest of the buyer’s in mind. 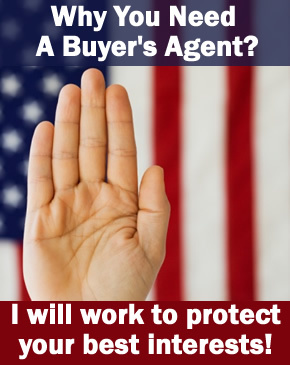 It is critical that you sign a buyer’s representative agreement to be afforded full protection. Once you have that contract the agent then is legally obligated to perform in your best interests. You should share any and all information that will be helpful to the agent to operate in your best interests. If you are thinking of buying, or selling, talk to a professional – talk to a REALTOR who can give you the information you need to make an informed decision. As always, if I can help with any of your real estate needs, please don’t hesitate to text, call or mail me at 301-712-8808 or RolandLow1@gmail.com.